Rick Metcalfe first purchased a vacation home in Phoenix nearly 20 years ago. He quickly realized the benefits of enjoying the fantastic climate Phoenix has to offer for over 8 months of the year. His family, friends and clients would vacation here during the winter as well and were hooked. After 7 years of taking pleasure in perfect winter weather conditions, he moved his family from the ice and snow of Edmonton, Alberta, Canada to Arizona permanently and has called the Valley of the Sun his home ever since. In Canada, he was in the commercial refrigeration and equipment business for his entire career where he earned the distinction of owning one of the “Top 100 Fastest Growing Companies” in the Canada in 1993. He brought that drive and determination to Phoenix where he purchased a spa and hot tub manufacturing company. After years of hard work and a creative approach to marketing, he successfully developed his company into a dominating force in the manufacturing and sales of spas in the state. In 2003, he successfully sold the spa factory and retired, for what his sons claim, was a mere 24 hours. 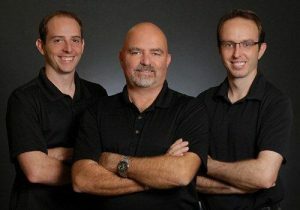 With his sons Scott and Cory, they immediately began fixing and flipping homes for fun and profit. As their reputation evolved, each of them became Realtors® and that is when CANAM Realty Group began. Today, CANAM assists hundreds of Canadian and American home owners, home buyers and investors in purchasing, selling and managing their properties. At this time, they average buying, selling, or renting a home every 48 hours. CANAM is one of a very few Real Estate organizations that is truly a full service realty firm. They have the ability to buy, sell, property manage, and renovate almost any property available. Many homes need some love and attention before they can be sold on the market for the best possible price and with their experience and know how the CANAM team can consult and/or provide the labor and the contractors to quickly bring your home to the most profitable market condition. This knowledge and experience has been invaluable to many home owners when reviewing and analyzing detailed inspections and managing any repairs during the buying and selling process. This expertise, at times, has saved or made their clients many thousands of dollars when purchasing or selling a home. Almost all of CANAM clients are referred from an extensive base of satisfied customers making CANAM one of the most successful Phoenix real estate firms today. They are consistently in the Top 100 of the over 30,000 Realtors® in the greater Phoenix area and would be proud to represent you in your real estate related endeavors. CANAM operates very differently than the vast majority of real estate brokerages licensed in Arizona. CANAM’s staff is not simply a handful of independent Realtors® who work out of their own homes as much or as little as they wish. They are full time professionals who work together and realize the importance of the responsibility you place in them while making one of your largest financial decisions. CANAM employs a full time professional staff consisting of sales associates, accountants, transaction coordinators, property managers, and support staff, many of whom are Realtors®, to fully coordinate closings and manage rental properties in a professional manner. Every year, it is increasingly more complicated to successfully complete a real estate transaction while performing the due diligence required of the rules and laws of the State of Arizona and the Arizona Department of Real Estate. CANAM is dedicated to protecting your interests and investments at all times. We would love to add you to our growing list of satisfied clients. Feel free to contact us with any questions you may have. CANAM Buyers Services – Find your dream home! 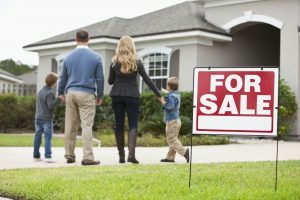 CANAM Seller Services- Sell my home!